A cross-compilation toolchain (e.g. 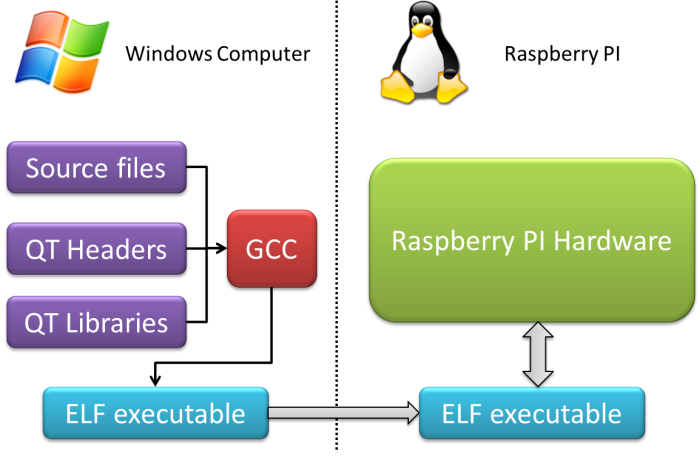 a Raspberry PI toolchain or a Beaglebone toolchain). 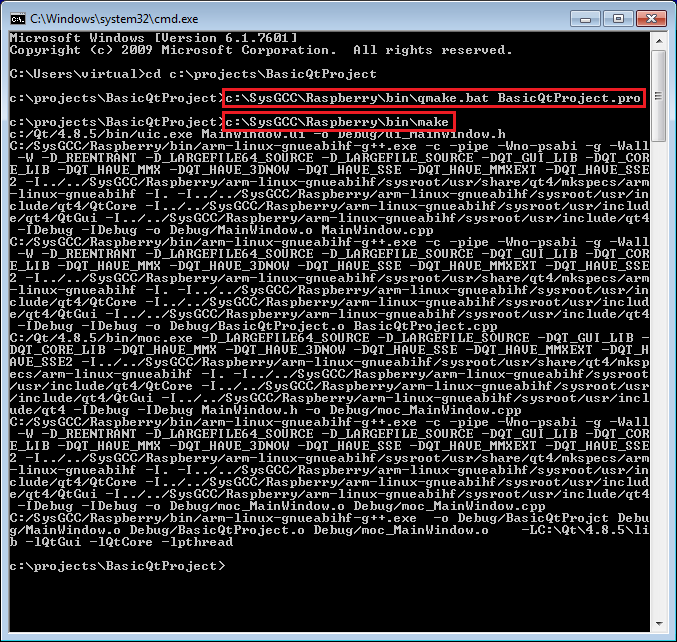 Download and unpack QtCrossTool.zip.Run QtCrossTool.exe. Now it's the time to test the cross-compilation. Download and unpack a sample basic QT project or create your own one. 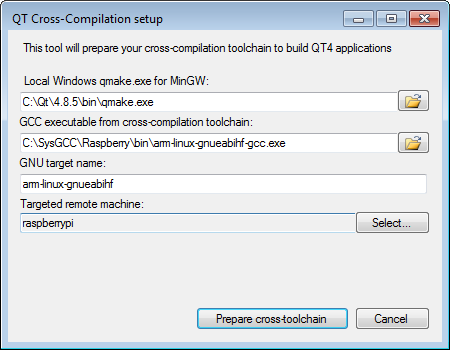 QtCrossTool is free for commercial and non-commercial use.